Here at Ivinghoe Turf we have been growing, harvesting and delivering high quality garden turf for more than 30 years. Through our extended experience in producing turf we have developed the knowledge to allow us to grow and maintain healthy garden turf. See below for our guide on how you can have the ideal turf in your garden. Newly-laid turf should be watered thoroughly within half an hour of installation. This watering should be repeated at least once a day until the roots are established. As a guide, at least two hours per day of constant watering is essential across the complete lawn area. The hotter, drier and windier the weather, the more water will be needed. Water immediately and profusely on any sign of the turf drying out, for instance gaps, lifting, browning or curling. Generally turf roots will be about 150-250mm deep, and water should be supplied to this depth. Usually during the months of June-September - dependent on rainfall - you should water mature turf about once a week. During spells of drier, hotter weather it is a good practice to water turf during the evenings. This will help prevent the water from evaporating thus giving the water a better chance of reaching the roots of the turf. 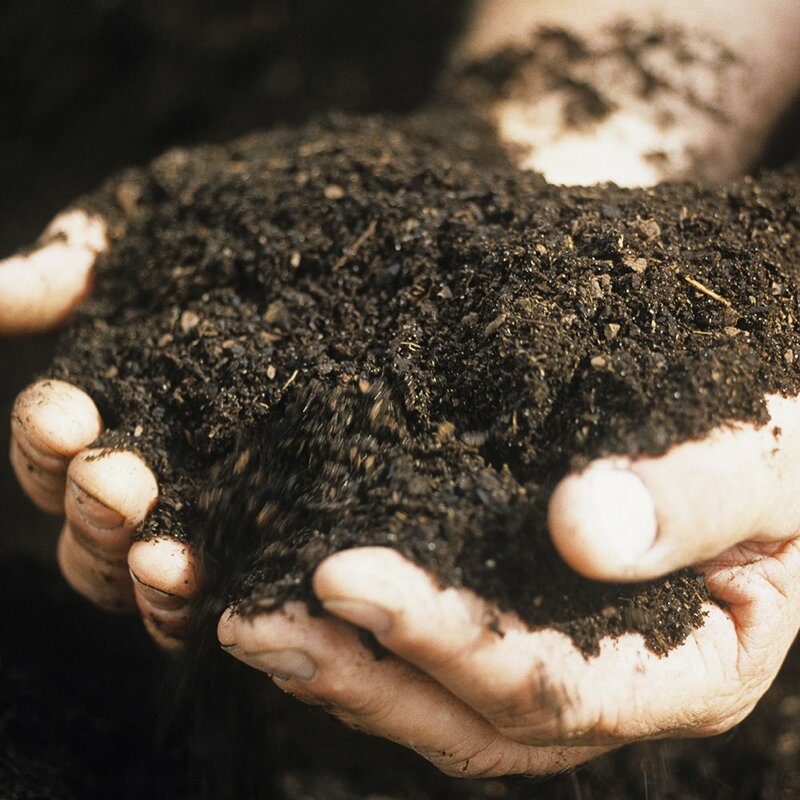 The best way to determine if your turf soil is wet enough is to dig or cut a small hole and examine the soil. Properly watered soil will not be soaking wet, but moist, dark and cool. For the first mow of the season, set the lawn mower to its highest setting to avoid stressing the grass. Mow regularly, each time removing no more than one-third of the grass height. When the lawn is fully established, the height of cut can be reduced gradually to an optimum height of between 15mm and 35mm. Take care to avoid scalping. Cutting your turf too short can have a detrimental effect on your turf. Not only can it encourage weeds to grow but it can ultimately kill off your turf. An ideal practice is to cut your turf to between two to three inches. Your turf will grow quicker or slower depending on the weather conditions as well as how you water and feed your garden turf. Once to twice a week will suffice but remember to not cut too short. Should you collect grass clippings? Grass clippings are full of nutrients and leaving them where they fall can benefit your garden turf in the long run. What mower is best to use? The most important thing is to ensure that the lawn mower that you're using has sharp blades. 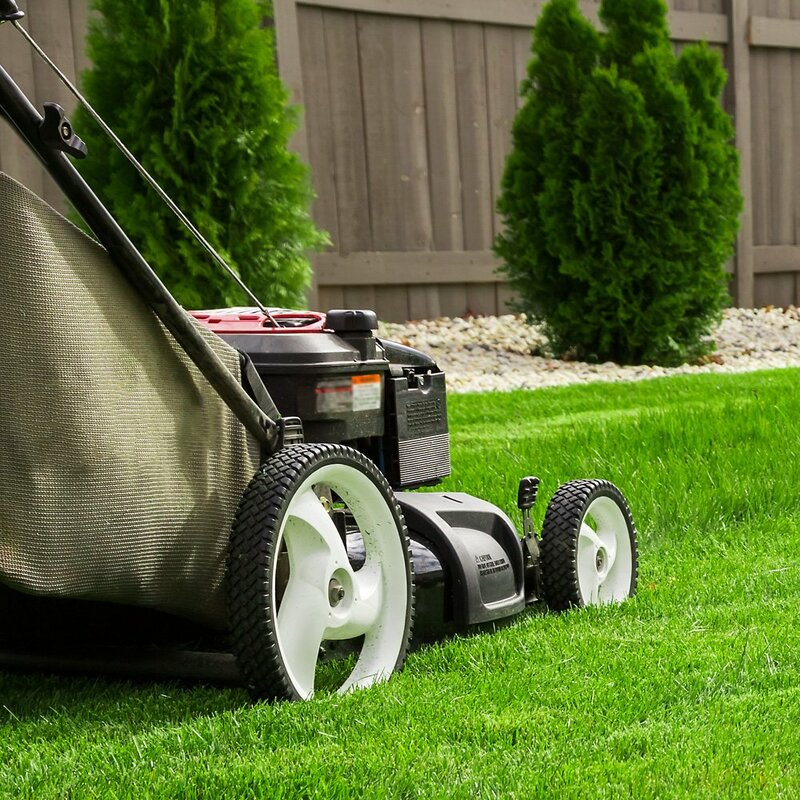 Using a mower with blunt blades will leave your lawn looking rough and shabby. As a rule of thumb, a balanced fertiliser containing similar levels of Nitrogen (N), Phosphorus (P), and Potassium (K) should be applied every four to six weeks during the growing season. Always follow the manufacturer's recommendations with regard to the quantity, timing and method of applications. A policy of "little but often" will help maintain your lawn in peak condition. When you buy fertiliser you will see three numbers. A 20-5-10 bag will have 20 percent nitrogen, 5 percent phosphate, and 10 percent potassium. The rest of the bag usually contains filler material that helps ensure an even application. The 20-5-10 mixture is a good basic mix for spring. Slow-release fertilisers break down their nutrients over a longer period of time, so you can wait longer between applications. The more you water your turf the more fertiliser it needs. Most fertilisers will require you to water the lawn approximately a quarter-inch down before applying them. A bag of fertiliser will give you a guide on how much to use. However many experts believe that spreading fertiliser at half the recommended rate in one direction, then spreading it again at half the rate in a perpendicular direction. This pattern will allow you to get better coverage and prevents over applying. The best time to lay turf is in spring or early autumn, however grass lawn can be laid at any point in the year but avoid laying on very wet days or when the ground is frozen. Remember to measure the area before buying grass turf. Take into account borders and paths. Prepare the soil by clearing weeds, rubbish and large stones. Kill off any old grass and weeds using a general weed killer. If you want an immediate lawn be sure to purchase good quality turf. 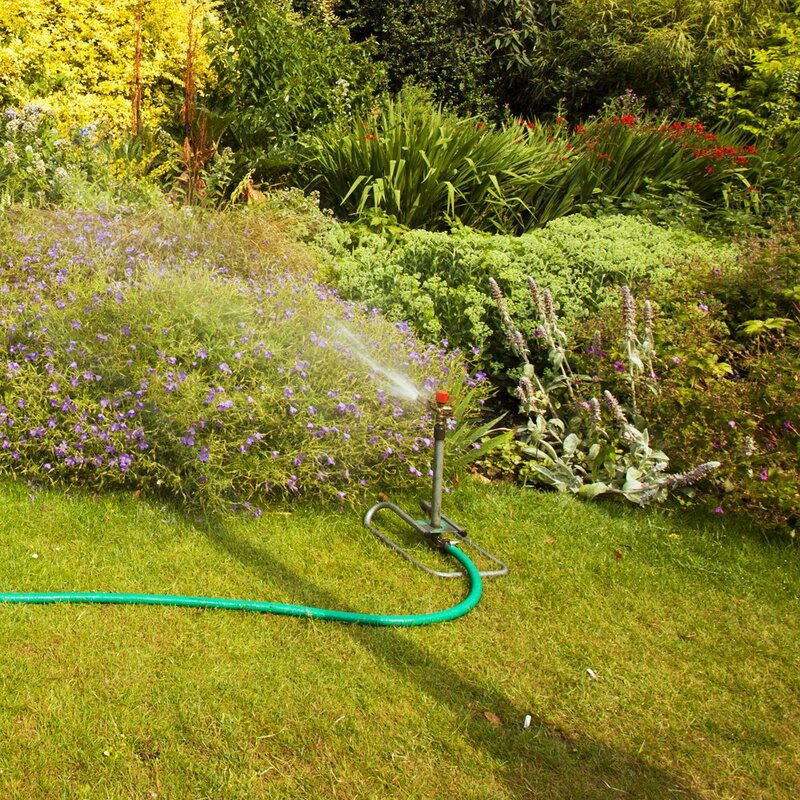 Newly planted garden turf needs plenty of water, so be sure to water thoroughly using a garden hose or sprinkler. Once laid, avoid walking on your new lawn for around 6 weeks. From our website you are able to purchase our turf range to be collected or delivered. Our location is accessible from all areas of the UK, particularly Hertfordshire, Bedfordshire and Buckinghamshire. Using our turf calculator, you can get an immediate quote for your square metre requirements. Turf ordered before 12pm (Monday - Friday) will be delivered the following day (Tuesday - Saturday). Our prompt delivery system allows us to supply you with the freshest turf possible.